Will Snapchat’s new sunglasses succeed? 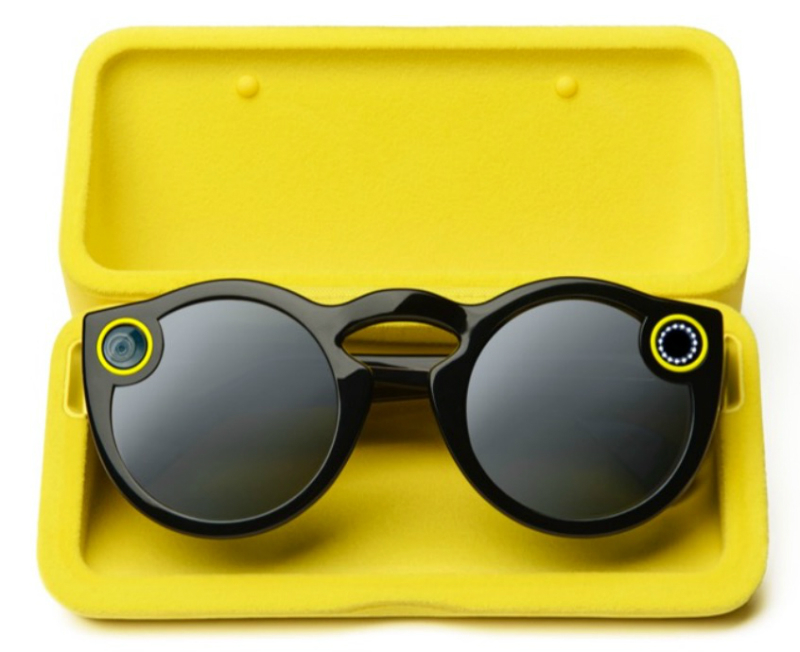 Social media giant Snapchat has caused a storm this week by releasing its first physical product: a pair of sunglasses with an in-built video camera. The new product will allow users to shoot short video clips and then transfer them to a device via WiFi or Bluetooth, but after the resounding failure of Google Glass last year, is there enough of a market for wearable technology of this nature? The new sunglasses, called ‘Spectacles’, are fitted with a camera that allows 10 second videos to be shot in a special 110-degree, circular format designed to better mimic human perspective. It will then be possible to upload the videos, via either Bluetooth or WiFi, directly to the user’s Snapchat Story. Will Snapchat’s Spectacles prove to be a success? I’m not entirely convinced. Firstly, the price appears to be highly prohibitive. At $130 (£100), Spectacles will retail at a price that may scare off the brand’s key demographic of 18-24 year olds. Secondly, all of Snapchat’s users necessarily already have near-permanent access to their smartphones, making the accessory no more than fun gimmick. Thirdly, the nail that sealed Google Glass’s coffin: the looks. Many Google Glass users complained (quite rightly) that they looked a little stupid wearing the technology, and the same could well be said for Spectacles. For what is on paper a fairly high-tech piece of kit, Snapchat’s gadget looks like something you might pick up at Toys’R’Us. This could prove to be a problem for something designed to be worn all day, every day to catch serendipitous moments on camera. So the outlook might not look particularly rosy for Snapchat’s latest venture. But does this mean it’ll be a failure? Not one bit. The reason I say this isn’t to do with the product itself, but what it represents. Simultaneous to the announcement of Spectacles, Snapchat also announced that it is changing its name to Snap Inc. (while keeping the Snapchat name for the picture sharing app). This name change heralds a new direction for the company, indicating a move away from being a pure social media platform to being a fully fledged lifestyle brand. It is highly likely that Spectacles will just be the beginning, and with the brand reach that they already to command, who’s to say that Snap, Inc won’t join the digital pantheon on Google, Facebook, Apple and co in the near future?